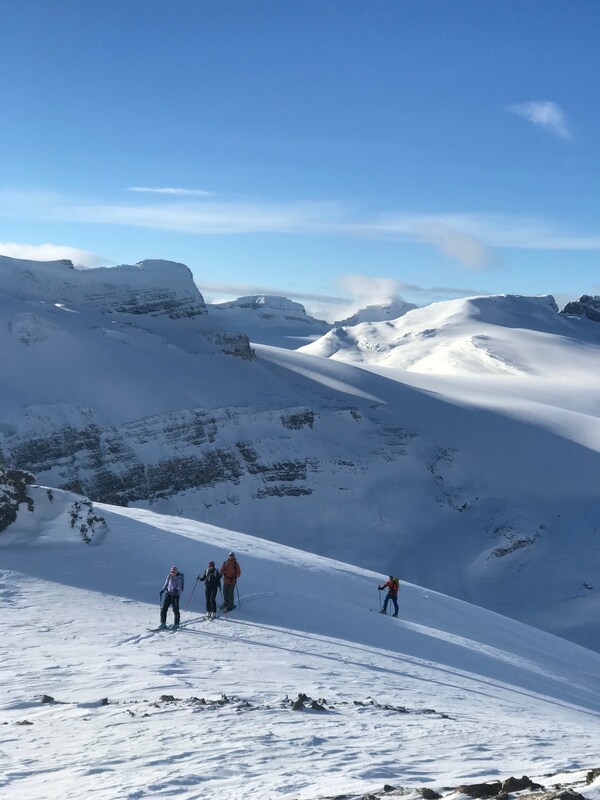 Skied Little Crowfoot today with a group of 5. -8 deg. C. at Bow Lake parking and -15 deg. C. on the summit. HS 195cm @2750m on approach below the summit. Easy travel through the canyon and up the moraines. 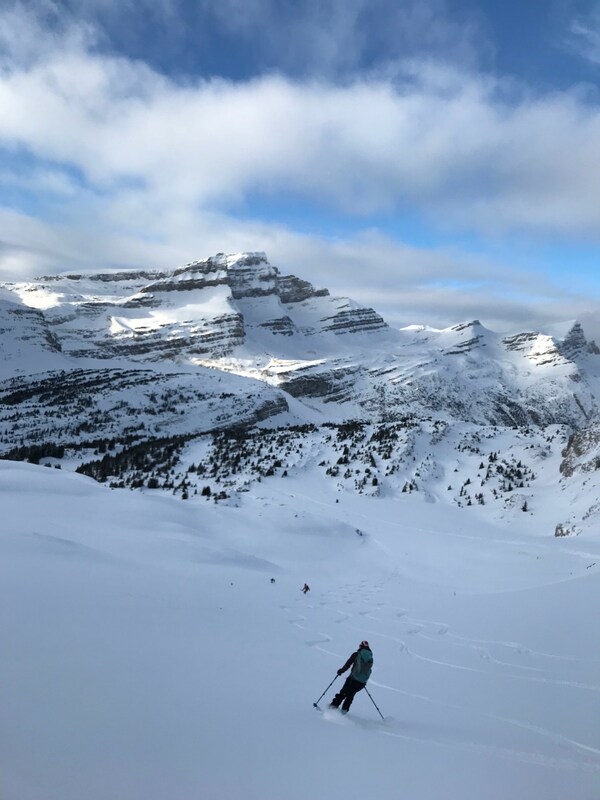 We enjoyed good skiing right of the summit on 5-10 cm's of Hero Snow over well settled snowpack with very little wind effect. Mostly sunny skies and no wind made it a nice day out. 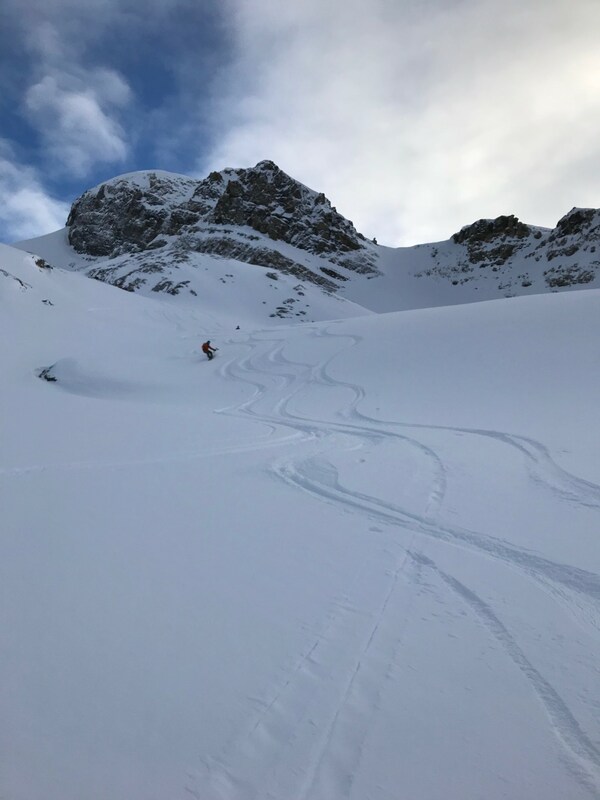 We did not see any new avalanche activity or any signs of instability in the immediate area and had the place to ourselves despite the holidays.